“Look, Mama, I’m Cinder-brella!” My daughter twirls around me, a blue bath towel wrapped around her waist. My heart sinks a tiny bit as I realize we are about to enter the princess stage. To Princess or Not To Princess? That is the question. For over two years, I have been able to avoid the topic entirely. My little girl is one half of a set of boy/girl twins. Up until now, she has often followed her brother’s lead when choosing toys. Books, blocks, and trucks of all kinds are favorites in our house. But Mia had never professed an interest in princesses. Things were changing. We were about to embark on our first trip to Disney World in just a couple of weeks. I showed Mia and Miles a few video clips of the Magic Kingdom in the hopes of building their excitement. Five minutes in, Cinderella had captured Mia’s heart. She jumped up to grab her towel, which she declared was Cinderella’s dress, and danced around the kitchen. On a trip to Target the next day, she decided Cinderella toothpaste would make her teeth “more sparkly.” A few aisles later, I pondered purchasing an itchy Cinderella dress-up set. As we stuck our toes in to the pool of “princessdom,” I realized I was the one reluctant to dive in. 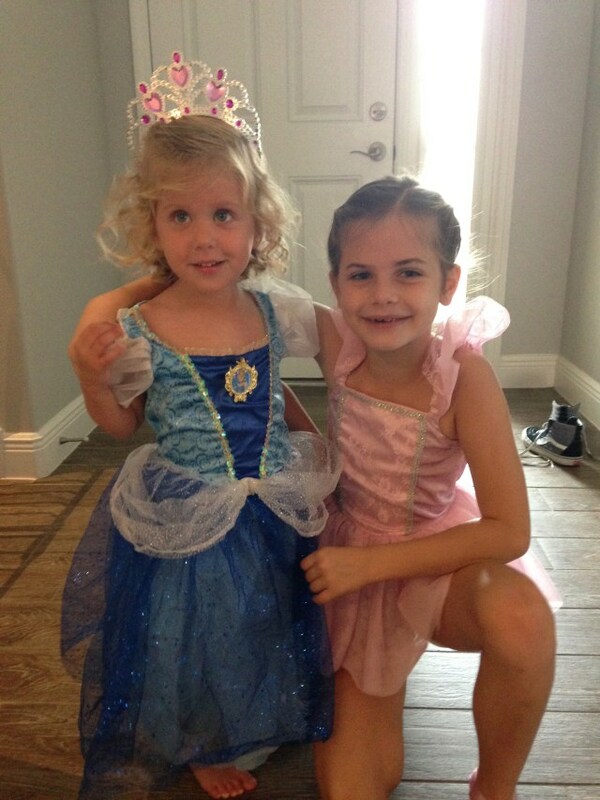 My feelings surprised me and I had to ask myself where this wariness of princesses came from. I grew up going to Disney World regularly (thanks to living close by), so it isn’t a distaste for all things related to the Mouse. I have followed my son’s lead and indulged his obsession with all things trucks, which is a comparable gender stereotype. Ultimately, if Mia decides princesses are her passion, I will get on board. But why have I avoided the princesses and dress up clothes? I think it is because the princesses in these well-known tales are so often passive observers to their own stories. As I recently watched part of Cinderella with my daughter, I found myself feeling frustrated. I wanted to shake dear Cindy by the shoulders and tell her to stop singing to the animals and stand up for herself. She sings, “If you don’t stop believing, the dream that you wish will come true.” I want my both of my children to have big dreams, but I also want them to realize it takes hard work and perseverance to make those dreams a reality. I hear the modern princesses are smarter, braver, stronger. I’m pretty sure I’ll find out one day in the not too distant future. For now, I will watch Cinderella with gritted teeth and wait for the day we can have a real conversation about how to make your dreams come true. I do hope that one day a long, long, time from now, my princess does finds her one true love to stand beside her. In the meantime, I want my daughter to be feisty, to be unafraid to stand up for herself, to take charge of a problem and offer solutions. I don’t ever want my daughter to stand by and wait for someone else to save her. I want her to be the hero of her own story.